These images are all from my U.S. Flag Collection. I have listed them here on my Historic Flags of Texas site because it just seemed the best place to find them. 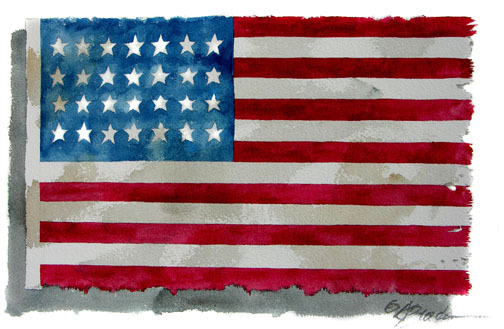 Each image is taken from an original watercolor I created then printed on high quality fine art paper in the edition sizes listed below each flag. I have included a brief history on each flag. Information taken from research I have done. As with all history research, some will agree, some disagree. But,it is what it is. 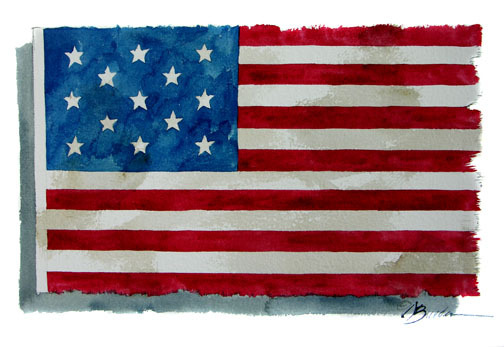 No one knows for sure who designed the first Star and Stripes, or who made the first flag; contrary to what some historians believe about Betsy Ross. 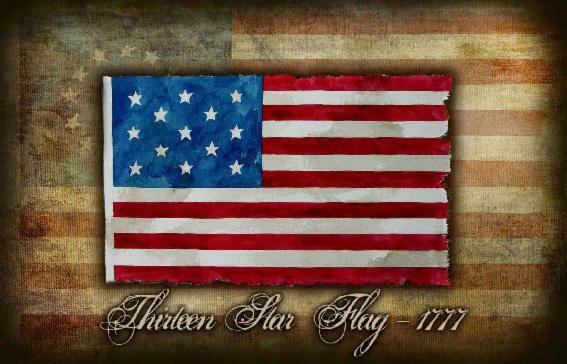 The Continental Congress passed the first Flag Act in 1777 which stated that the flag of the thirteen United States be thirteen stripes alternate red and white; that the union be thirteen stars, white in a blue field representing a new constellation. 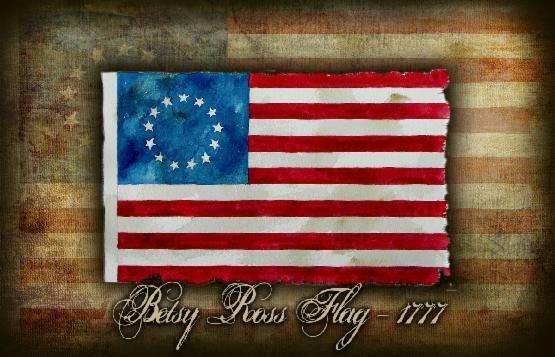 Yes, the Betsy Ross flag! 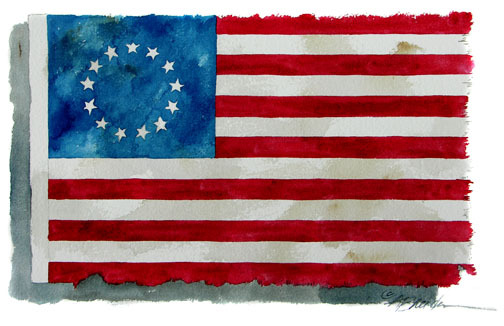 Attributed to Betsy Ross, a Philadelphia seamstress; this was according to legend. Supposedly, a group headed by George Washington commissioned Betsy to execute this design for presentation to Congress. Its still documented as being created, and here it is. 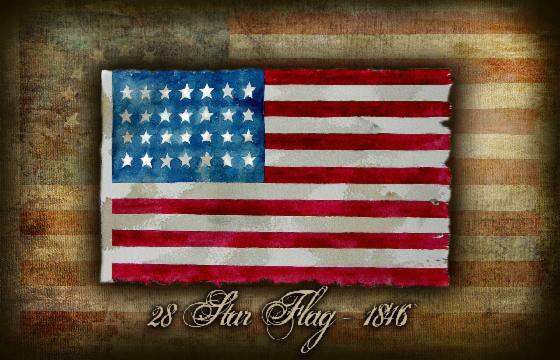 When two new states were admitted to the Union a resolution was adopted expanding the flag to fifteen stars and fifteen stripes. 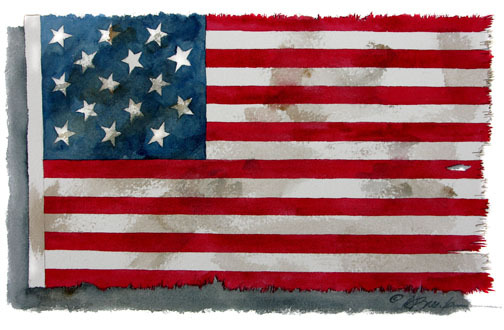 This design was our only official flag ever to have more than thirteen stripes. 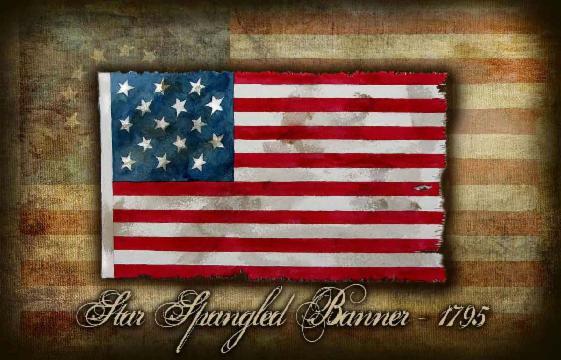 It was prominent in many historic events and inspired Francis Scott Key to write "The Star Spangled Banner" during the bombardment of Fort McHenry. I've added this flag to my collection as it was created when Texas was admitted as a State. The U.S. 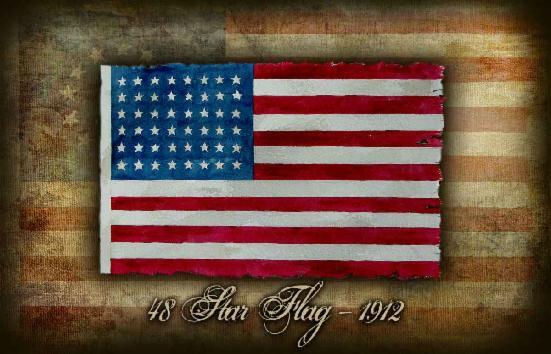 Flag grew to include 48 stars on July 4, 1912 with the addition of New Mexico and Arizona as states. This was the official for 47 years, and flew during two World Wars and was the flag which was raised over Mount Suribachi on Iwo Jima in 1945. The 48 star flag also flew on all U.S. warships during the battle of Pearl Harbor on December 7, 1941 and was flown over the White House on August 14, when the Japanese accepted our surrender terms.